75 fail-proof recipes for pizza, focaccia, and calzone from the world's most trusted and bestselling Italian cookbook series. Making pizza at home has never been easier! The Silver Spoon Italian Cooking School: Pizza teaches everything you need to know about making not just fresh pizzas but foccacia, calzones, and savory pies at home. 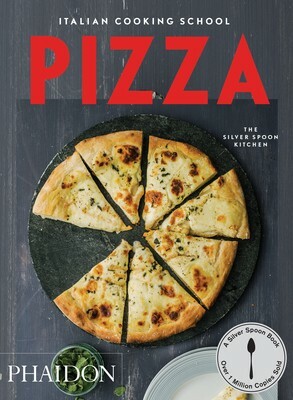 With the illustrated step-by-step instructions, readers learn to make basic pizza dough and classic pizza dishes such as a Margarita, Neopolitan, Quattro Formaggi, and so many more.